Tim, after graduating from Aston University Birmingham, returned to Portadown in 1993 as it was always his ambition to open his own practice in his home town. After 15 successful years in West Street, Tim was able to significantly expand his business by relocating to purpose- built premises in Mandeville Street in 2006. 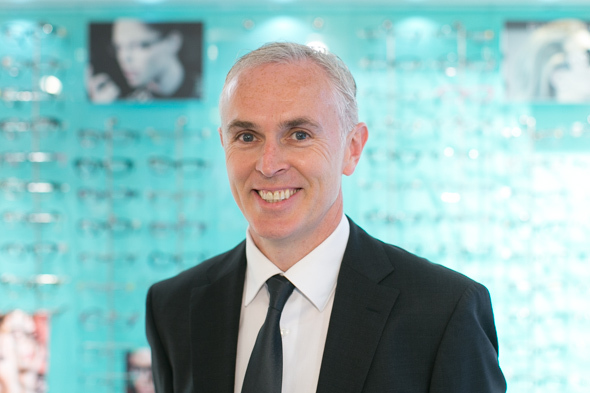 His ongoing aim is to provide his clients with the highest level of professional eyecare and offer one of the country’s widest selection of eyewear. Tim is married to Kathryn and they have three children. Outside work, Tim has a keen interest in golf and rugby.